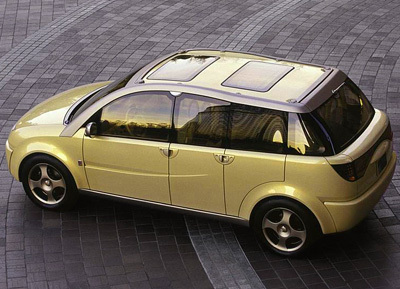 The Saturn CV-1 was the first concept car to be created by Saturn. 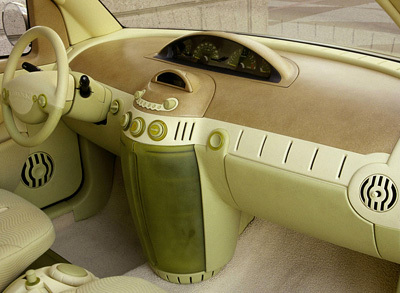 The vehicle was initially show at the 2000 Detroit Motor Show. 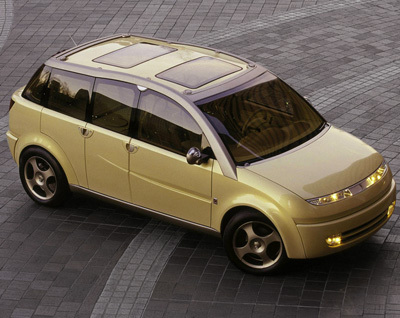 The idea behind the Saturn CV-1 was to develop a multipurpose and versatile vehicle with a flexible seating layout. 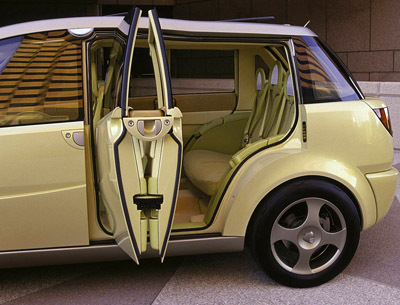 Access to the interior of the Saturn CV-1 concept was through conventional front doors and a concertina style twin-rear door system. The roofline was high and incorporated two sunroofs, one for the front passengers and one for the rear passengers. The tall roofline meant there was plenty of headroom for the passengers and space for extra cargo. Occupant safety was another priority concern during the design of the CV-1 and because of this the vehicle was fitted with a multitude of airbags, run-flat tires, a tire-pressure monitoring system and extra bright LED rear lights. Including the driver, up to six people could comfortably travel in the CV-1 thanks to the rear seating layout which featured a bench seat which faced forward and two individual seats which faced backwards. Powering the Saturn CV-1 was a 2.2 litre inline 4 cylinder engine which drove all four wheels via a CVT (continuously variable transmission).